Located 1 hour from Winnipeg in the heart of the Whiteshell Provincial Park in Manitoba, Canada. Our conference and retreat centre has a mission to help build a more restorative world. We believe that connection and renewal are essential to the health of the human spirit. 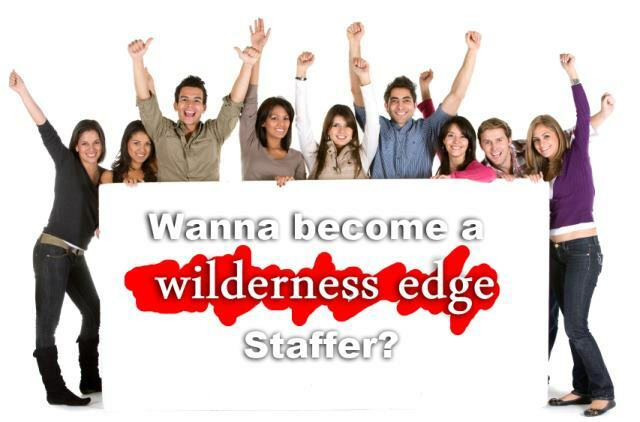 Wilderness Edge applicants are invited to come experience our relaxed atmosphere. Wonderful eco-forest sanctuary is at our door step and enjoy firesides, canoe and hiking trips. Be filled with energy and life, and learn, reflect, renew, reconnect and have a great time. We believe in continuous learning. We’ll support your personal and professional development. There are a wide range of career opportunities available. In addition to on-the-job training, employees have access to a variety of resources. To further develop certain skill sets we provide including financial support to enroll in industry-related courses. Seasonal Rotating Staff will assist in guest registration and hospitality, meal preparation, housekeeping, maintenance, painting, and working inside and outdoors. Staff are encouraged to connect with guests in the Wilderness Edge community. You will help in educational opportunities, interpretative programs, and hikes. Compensation includes a bi-weekly stipend plus a share of guest gratuities, dormitory style housing, meals. You are given an opportunity to connect with a diverse group of guests, staff and volunteers. Depending on your focus, you may want a 30 to 35-hour work week. This offers ample opportunity to get out and explore the wonders of Whiteshell Provincial Park and surrounding areas. The summer season runs approximately from May 21st through October 1st. Preference will be given to individuals who can commit to the full season, although candidates for shorter lengths of stay will be considered. Applicants must be at least 18 years old (20+ preferred), love the outdoors, and able to work effectively with a diverse staff and guests. To apply, fill out the form below (three references are required) or contact Kevin Penner for more information.